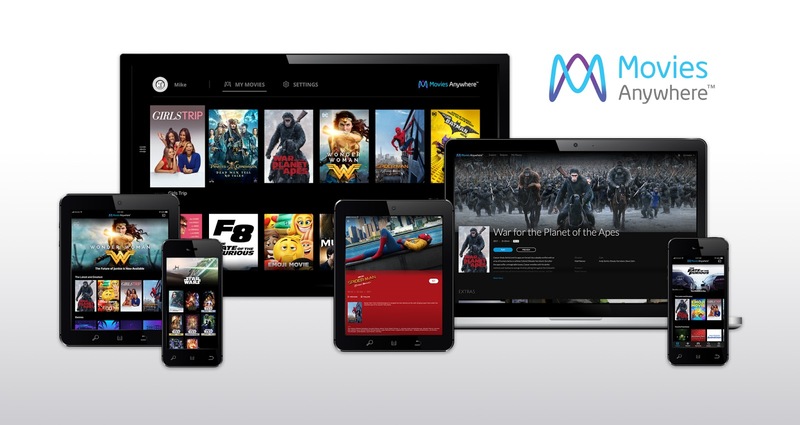 Movie lovers now have a new home for their favorite digital movies as Movies Anywhere recently launced with an unprecedented five Hollywood studios and four major digital retailers on board. Featuring films from Sony Pictures Entertainment, The Walt Disney Studios (encompassing Disney, Pixar, Marvel Studios and Lucasfilm), Twentieth Century Fox Film, Universal Pictures and Warner Bros. Entertainment purchased or redeemed through digital retailers Amazon Video, Google Play, iTunes and Vudu, Movies Anywhere brings the movies people love together to create a simple, seamless digital entertainment experience across platforms. This holiday you can watch you favorite movies anytime and anywhere with Movies Anywhere. If you have a phone, a tablet, laptop, etc you have the ability to watch your film collection anywhere this holiday break. You can have one base account and then add profiles for your family, including rating restrictions for content access. During the holiday season, we love watching classic Christmas movies in the living room as a family! Some of our favorites this time of the year are Miracle on 34th Street, The Santa Clause, Elf, Christmas Vacation, A Christmas Story just to name a few. The best part is you can buy these digital copies and watch them on Movies Anywhere! In addition to watching movies during the holiday season, I do a lot of baking. I enjoy making cookies, candies and treats for family, friends and co-workers. So while I am baking, I miss some of the holiday movies that I love. I only get to catch a glimpse here and there while I am waiting on a batch to cook. Now I can put my favorite holiday movie on my tablet and not miss a thing. Before I was limited to only the movies that were available from the app on that device. Now that all the movie apps play nice together in one place, I am no longer limited! I was able to enjoy Elf while making Christmas Cereal Bars! Just in case you were wondering how to make these tasty bars. You can access the recipe here. Christmas movies can evoke a lot of emotions, if you are looking for fun and laugh out loud movie, then Elf is the perfect one. A great movie that does make me cry during the holidays is The Holiday. It is such a sweet story, totally underrated and while not a tear jerker, the tears are from the sweet story. Of course there are the Christmas classics that bring back your childhood like Miracles on 34th Street, A Christmas Story and Santa Clause. Why not start making some Christmas traditions with your own favorite movies on Movies Anywhere. Movies Anywhere is not only perfect for me, but also the kids. We will of course be making the pilgrimage to family this Christmas and to keep the kids entertained in the car, they can download their favorite movies to watch on the way. Even when we are not traveling, sometimes screen time is okay for the kids. My daughter is on a travel soccer team, so it is soccer all year, every season. Our son is a trooper and goes to all the games, some practices, etc. She has been playing a lot of two games a day during indoor soccer and it can get boring waiting between games. This past weekend our son asked if he could watch a movie to pass the time. 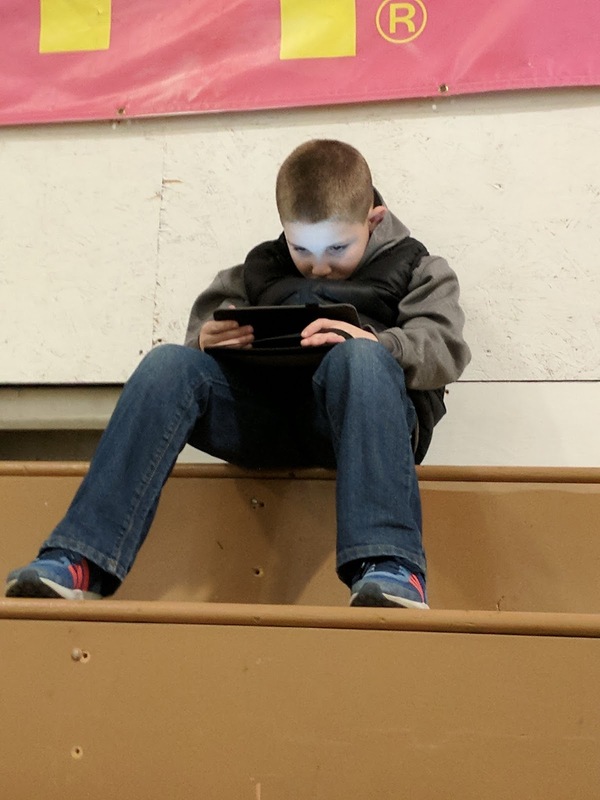 He forgot his headphones, so he found a spot up high on a bleacher not used and enjoyed a movie while he passed the time. Movies Anywhere initially features access to a library of over 7,300 digital movies, along with fresh previews and film extras from the studios responsible for such 2017 global blockbusters as Disney's "Beauty and the Beast," Warner Bros.' "Wonder Woman," Sony Pictures' "Spider-Man: Homecoming," Universal's "The Fate of the Furious" and Twentieth Century Fox's "War for the Planet of the Apes." Movies Anywhere is welcoming new users with a limited-time offer to receive up to five digital movies. Activate and connect your account with one of these participating digital retailers- Amazon Video, Google Play, iTunes or Vudu -and you'll receive a digital copy of both Sony Pictures' "Ghostbusters" (2016) and Twentieth Century Fox's "Ice Age." Connect with a second participating digital retailer and Disney's "Big Hero 6,"Universal's "Jason Bourne" and Warner Bros.' "The LEGO Movie" will be added to your digital movie collection.